Schlossberg had to create her own opportunities. Because her professional expertise was in life transitions, she decided to study retirement. That work led to the first of three books that she has penned on the topic since ‘retiring’: Retire Smart, Retire Happy (American Psychological Association, 2003). Through her post-retirement research, Schlossberg has worked out why it didn’t feel good to be suddenly purposeless in sunny Florida. Those who have retired, she learned, must shape a new identity. “That transition process, even if it’s something you wanted, can be very unsettling,” says Schlossberg. “But the most important thing tied to your identity is your sense of purpose. That’s what gives you the reason to get up in the morning.” Of course, that sense of purpose or identity needn’t be related to previous professional activities — but Schlossberg’s interviews with retired researchers indicate that they need something to define their lives. November 27, 2017: Article at AARP.org – Are You Afraid to Retire? September 1, 2017: Article in the Sarasota Herald Tribune – Keep learning, activate your brain, meet new people, learn new skills and continue your intellectual curiosity. That’s what it’s all about. April 4, 2017: Article in Forbes – Which Of These Retirement Paths Will You Follow? and on Nextavenue.org – Which of These Retirement Paths Will You Follow? December 22, 2015: Article in Sarasota Herald Tribunes’ Better Living – Does Planning Pay Off? August 5, 2015: Quoted in Hardware Retailing article – How Do You Want To Spend Your Retirement Years? Jan 31, 2015: Article in Sarasota Herald Tribunes’ Better Living – Can Broken Relationships Be Mended? January 17, 2013: Quoted in article in The New York Times – Why Am I Getting Mellower? August 3, 2011: Quoted in Article in Health & Fitness – Older…now what about wiser? March 22, 2011: USA Today, Sharon L Peters, “Regrets? Boomers have a few…”p. 6D. September 2010: Interview for a Dow Jones retirment newsletter on Friendship and retirment. Fall 2010: Interview for US News and World Report’s special retirement issue to discuss the future of retirement. Zestnow.com welcomes Nancy Schlossberg as a blog contributor. Psychology Today welcomes Nancy Schlossberg as a blog contributor. I was really blown away by the award and the ceremony. It was especially meaningful since I was part of this department for many years and to be honored by them really made me feel I mattered. I said it at the ceremony–no award belongs to an individual alone. I was able to do things I did because of the great support and encouragement I had from the University, the students, and faculty. The award belongs to all of us. COLLEGE PARK, MD (October 2009) – “I never believed in naming things after yourself, and I was actually opposed to it…until it happened to me!” said Professor Emerita Nancy Schlossberg, surrounded by family, friends and colleagues at the September 25, 2009, dedication ceremony to name the newly renovated Counseling and Personnel Services’ (EDCP) conference room and library in her honor. A long-time faculty member and friend of the College of Education, Schlossberg is widely known as America’s ‘retirement guru.’ Currently co-president of the consulting firm TransitionWorks, she is an expert in the areas of adult transitions, adult development, career development and intergenerational relationships. Her research has been honored by the American Psychological Association and the American Counseling Association. In addition, her book Retire Smart, Retire Happy was the subject of a PBS special, and her work has been featured in a number of top national newspapers, including USA Today and The New York Times. 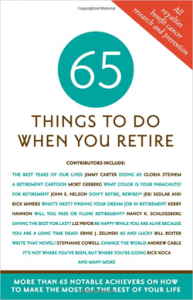 Earlier this year Schlossberg published her latest book entitled, Revitalizing Retirement. Schlossberg expressed how impressed she was with the conference room/library, which showcases a number of her published works. She also shared with ceremony guests that the dedication had a lot of meaning for her. Below is an excerpt from my Q & A with David Pitt from the Associated Press. I talk about financial planning and the psychological aspects of retirement, both topics in my book Revitalizing Retirement. Q: Your book discusses the need to develop a psychological portfolio for retirement. What exactly does that mean and why is it important? A: For many workers, the psychological adjustment to retirement is as difficult as the financial one. I make the case that people go to a financial adviser and consult often yearly, sometimes more frequently. They go to a physician to get a checkup. But no one is checking up on their psychological portfolio because they didn’t really have one. It’s important, not just for retirement, but for every major change in life — career changes, marriage, divorce. Those things change the way you define yourself, your relationships and often change your sense of purpose. More Q & A can be found on the Times-Dispatch website book review section. Reporter Emily Brandon quoted me in an article from US News & World Report on Internships for Elders. Take a look at the entire article for more information and ideas for elders. After a layoff, it’s important to continue to make new contacts and keep your skills up to date. “An internship will give you structure and a place to go and will prevent you from becoming depressed about not working,” says Nancy Schlossberg, an emeritus professor of the University of Maryland and author of Revitalizing Retirement: Reshaping Your Identity, Relationships, and Purpose. “The best way to find that next job is to get yourself an internship in a work situation—and you never know where those contacts might lead.” Schlossberg, who has set up more than 100 internships for her former students, recommends scheduling an internship for three days a week and continuing to job search the other two days. “For people who have doubts about whether they should leap into their new careers, it’s a great way for people to get hands-on experience trying something,” says Faye Gorn, 56, a systems analyst from Staten Island, N.Y., who is considering a second career as a chocolate maker. She did a two-day intensive internship in April with a chocolatier in Portland, Ore. “I wanted to get a peek into the day-to-day operations and management,” she says. This was an interview with Anita Manning that appeared in USA Today on April 26, 2009. To read the complete interview with retirement tips, take a look at the USA TODAY article. Aaah, retirement. Time to catch up on reading. Time to work on the golf swing. Time to clean out that horrible closet and rearrange the kitchen cupboards. Time … time … time. Retirement can be the best of times or the worst of times. What can make the difference, says psychologist Nancy Schlossberg, is planning. Most people who plan for retirement focus only on their financial portfolio, but they should pay as much attention to their “psychological portfolio,” says Schlossberg, whose new book, Revitalizing Retirement: Reshaping Your Identity, Relationships, and Purpose, was published in February by the American Psychological Association. Q. What is a psychological profile? A. Retirement challenges your identity, changes your relationships and may leave you feeling rootless. These three components — identity, relationships and purpose — make up each person’s psychological profile. Q. Are some people better prepared, emotionally for retirement than others? A. The lucky few are those who know exactly what they want to do. (They) start playing around with ideas in advance — how will they identify themselves? What gives them purpose? What will their new mission be? Q. What steps can people take to get ready? A. Maybe this is the time to join an organization that needs volunteers, church group or community group and start making new friends or organizational ties. If you’re thinking, “When I retire, I’m going to move to Florida,” take your vacations there so by the time you move there, you know a few people. Is there something you’ve always wanted to do? Take a course and try it out. You have the same issues as the football player, the roofer, the lawyer, when you retire. There are ways you can begin to prepare. Retirement is just a continuation of your career development. Get involved. Engage in life. Q. How can people combat loneliness? A. Make a conscious effort to reconnect with old friends and make new ones. Some people move to retirement communities with active social programs. Others take on new jobs or volunteer activities that are both satisfying and fun. One woman got together with friends to plan a Boomer party. Getting together regularly to plan the party was in itself rewarding. Fun provides relief, distraction from negative reality, bonding with others and a way to survive in troubled times. Q. What are some of the unexpected pitfalls of retirement and how can people prepare for them? Q. What do we need most for a happy retirement? A. We need to matter. It is important for people to believe that they count in others’ lives. The loss of the challenge of the work itself, the relationship with colleagues, the connection to an environment, an office to go to, and the daily routines can leave people wondering whether they matter anymore. We all need to figure out ways to bolster our own sense that we count. In her new book, Revitalizing Retirement, author Nancy K. Schlossberg emphasizes that people leaving full-time careers need to plan ahead to have purpose in their lives, a new identity and healthy relationships. An encore career, she says, can help do all of those things. Purpose, identity and relationships are key components of a “psychological portfolio” that she believes is every bit as critical as a sound financial portfolio for individuals as they transition from their midlife career to new endeavors and, eventually, retirement. 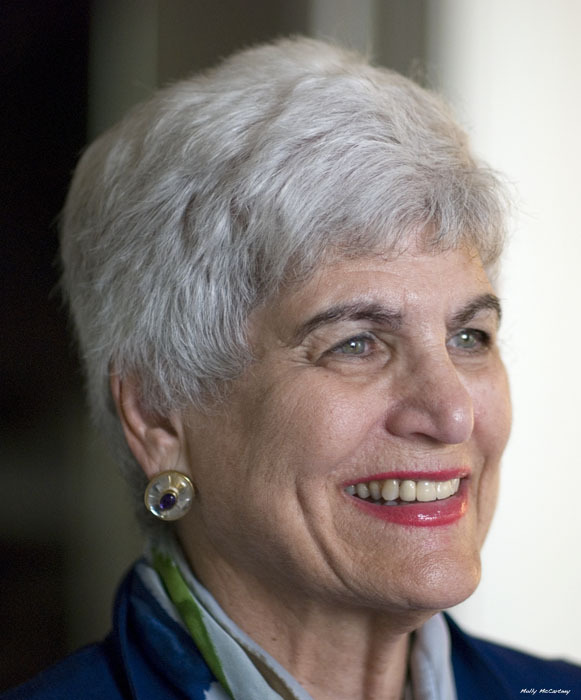 Schlossberg, 80, is a counseling psychologist, author of nine books and professor emerita with the University of Maryland at College Park who specializes in later-life transitions. She now divides her time between Sarasota, Fla., and Washington, D.C.
She believes purpose in life is the difference between why some youngsters become juvenile offenders and others contribute to society. And she thinks it determines whether individuals are happy after they leave their main career or whether they feel hollow. One example she cited was a serial entrepreneur in his 70s who owned and then sold a number of small newspapers in Maine. On his first day of retirement, his wife went to work, his twin boys went to school, and he stayed at home with his mother-in-law. All of a sudden, he had no identity and no purpose in life, and he was isolated from lots of his former associates. It didn’t take long for him to call up a woman he knew in the Maine Department of Labor, and soon he had an encore career alongside her, helping others find careers. His new role restored his personal identity, gave him confidence that he was doing meaningful work and connected him with a new circle of friends. Prepare for surprises – “There are going to be positive and negative surprises all through life,” says Schlossberg. Rather than going into a panic when things don’t turn out optimally, she recommends having a “Plan B” and going with the flow. Be intentional – In her book she cites the “40 percent solution” coined by Sonja Lyubomirsky, a psychology professor who determined that happiness is determined 50 percent by your emotional baseline, 10 percent by life’s circumstances and 40 percent by “intentional activity” – actions you initiate. “You can control 40 percent of your happiness,” explains Schlossberg, by intentionally changing careers and doing something meaningful. 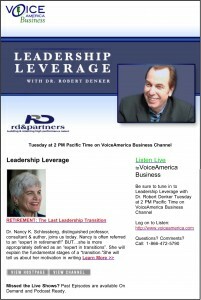 Cope and reframe – “Some of the things happening in the work force today you can’t change,” says Schlossberg, “but you can change the meaning and reframe what’s going on.” She gives the example of a woman who left a dead-end job selling cars and began working as a checker at a large supermarket chain. In her mind, it was not an entry-level job but, rather, the first step in a new career that she was certain would lead to a powerful role in the food industry. Revitalizing Retirement is available from major booksellers or can be purchased directly from the publisher, APA Life Tools. Click here to visit Schlossberg’s Web site.